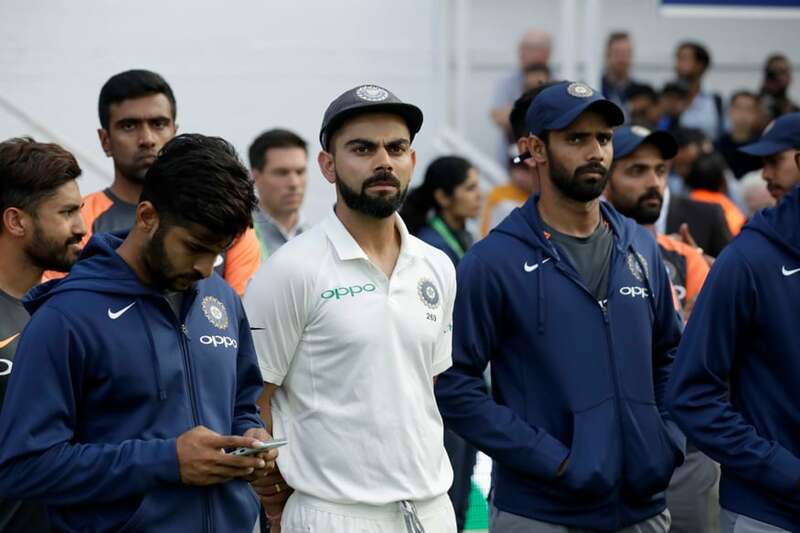 As India embark on a four-Test series in Australia on December 6, there is a growing sense of anticipation that Virat Kohli’s team will become the first Indian outfit to win a series in the country. Former India captain Anil Kumble is upbeat about India’s chances and expects the team to return victorious. In an exclusive interaction with CricketNext, India’s highest wicket-taker reflected on a range of issues including the ideal playing combination, selection choices, problems confronting Australia, mind games and a lot more. Gaurav Kalra: Hello and a very warm welcome to this special and it is a special as it gives me great pleasure to introduce the legendary Anil Kumble as the brand ambassador for Cricketnext.com. Thank you so much Anil for doing this and sparing your time and agreeing to be our brand ambassador. Thank you. Anil Kumble: Thank you Gaurav, it's my pleasure. GK: The big thing that we must talk about is the India-Australia series that's coming up. As someone who has been part of teams that have been to Australia before, knows these players very well, looking at the game as it stands right now, is this India's best chance to win in Australia? AK: It is. I think whether Australia has a full playing XI or not, the potential that the current team has certainly makes this their best opportunity to win a series in Australia. They missed out in South Africa and England but this is a great opportunity to beat Australia in Australia. GK: One of the narratives that did the rounds and before we talk specifics, was that in South Africa and as well as in England, India were in with a chance but lost key moments. Do you agree with that view, that it was because of those key moments that India did not come out with better results from those two series? AK: Yes, I think if you have to win the Test series, especially when the runs scored are very less and you're competing against a very good side in their backyard, then it's important to win those key moments. I think initially, at least when you look at it as a person from outside, there were a few selection issues previously as well, that's something that India needs to get right from the first game. Of course key moments matter in Test cricket, if you win them. But first of all, you need to identify those moments. If you can identify those moments and win them then India has a great chance. GK: Now this is something that you will identify with, for all the years that you played, India were always identified and even before you played, as a batting country, while all you guys achieved the things you did as bowlers. Yet, if you just look at it in black and white, it's the batting failures that have cost India in the series in South Africa and England. You can't say the bowlers have done anything wrong. AK: I think if you have to win Test matches and then if you have to win a Test series, then bowlers will have to pick up 20 wickets and they have to be consistently picking up 20 wickets. Yes, you're right batting failures cost us in probably the South Africa series and in England. We tend to assume that batting will be right and the bowlers will struggle. But I think this Indian team has shown that the bowling unit has been pretty consistent over the last couple of years in the way they've gone about picking up those 20 wickets. So, it's the batsmen who'll have to put their hands up, specially the top order. We know that series are won by the openers and matches are won by the lower order batting contribution. So, you need everyone to contribute but a good start will certainly help India lay a strong foundation. GK: Conditions play a big factor in Test cricket in particular. We've seen very hard batting conditions in South Africa and England, even the home teams struggled. In your experience and with your background of having played in Australia, do you believe that this will be substantially different conditions and batting will be easier? AK: It will be, if you look at Australia traditionally, most teams have started in Brisbane. Brisbane has always been challenging for foreign teams, specially when you come from the sub-continent. Bounce, pace and also a bit of movement. So, starting in Adelaide is an advantage and Adelaide we know is a good track. Generally, after the first couple of hours on Day 1 it becomes a batsman's paradise and the square boundaries are shorter and the bounce is even. Yes, it's a blessing in disguise that India is starting off at Adelaide. If India can take the momentum out on Day 1, I think they will certainly press the advantage. GK: Yes, someone's been smart about the scheduling and got it absolutely right. Now, among the high points of India in this whole season of Test match cricket overseas, starting with January has been Virat Kohli's batting. If there's been one criticism about him then it's been about his game awareness as captain. There have been instances, for instance when Sam Curran got in and whether he's put the right bowlers to attack him. Things of that nature have been pointed out by several observers. Having seen him operate closely as a coach also and now just sitting outside, do you believe that he's still not a finished product as a captain? How important will that be? AK: I don't think any captain or any players is a finished product. I mean you're constantly learning and I'm sure Virat is also constantly learning from all the experiences that he's had in South Africa and also in England. You spoke about the key moments, that's something he'll have to grab on the field. He needs to identify that and possibly India got a bit complacent when they pick up to 5-6 early wickets. That's something that I'm sure he would've learnt from his experience in England. Going by that, Australia have some decent batting lower down, Cummins has hurt India a couple of times, Starc has hurt India a couple of times. India is aware of the capabilities of the lower order of Australia. That's something that they wouldn't want to take for granted. As a captain you're constantly learning, the conditions are going to be different. I guess the bowling will have to be different from the way you bowl, specially with the Kookaburra ball. Between the 20th and the 60th over is where the challenge is for the Indian cricket team. GK: You also experienced this as a player, as captain as well that every time India went overseas, there's been this constant narrative that hasn't changed for all these years that India finds it difficult to tour and India finds it difficult to win series overseas. You were part of a successful team that did quite well overseas. Do you believe that adds to the burden on the shoulder of the players? They start think about, oh gosh we lost in South Africa, oh gosh we've lost in England, how's it going to be if we don't start well in Australia. Is that a real burden? AK: I mean subconsciously it remains with you. It's something that you can't just shy away from because you're constantly reminded. I'm sure if the Indian media doesn't remind the Indian team, I'm sure the Aussie media will certainly remind them about all the things that have happened over the last few years when India has travelled to Australia. So, yes, you're constantly reminded but I don't think that should bog you down. If you look at the quality of the Indian team and of the Australian team, I think the Indian team is far superior and I think they can manage their own expectations rather than looking at the opposition. I think India will certainly come up trumps. GK: Now let's talk specifics, we've got the privilege of having Anil here, who has worked as captain, senior player as well as coach of the team. So, let's get him on the spot a little bit. Six batsmen or five, that's going to be another question that will be asked a lot. Now, if you're putting the XI together then would you play five front-line bowlers, knowing that Hardik Pandya isn't available? AK: That's a big blow, if you had Hardik Pandya in the team, then he gives you the cushion of being the fifth bowler, gives you 10-15 overs, possibly a couple of wickets. So that's the advantage of a Hardik Pandya. He can bat at seven and give you runs as well, so that's the disadvantage that India is going with. But if you look at Adelaide. I mean we're sitting here and talking about the pitch but generally if you look at the history of Adelaide, the wicket has always been good. You would want two spinners to play. Ideally, I would want five bowlers because in Adelaide you should be able to depend on your lower order to contribute at least 100-150 runs. From your seven, eight, nine, ten, eleven; India should be able to get 100-150 runs. So, the top order becomes critical as well. If you can score 350 runs and have five bowlers in your team then I think India has the upper hand. So, that's the decision that the team management will have to make, whether you want to go with four bowlers because you're looking at the bowling attack which probably is the best bowling attack. Their batting isn't necessarily great. So, if you're looking at that and you want to make sure that the batting is stronger to negate the bowling, then that to me seems like a little bit of a negative thought if you're thinking on those lines. Or you'd want to go one up in the first Test and you really attack Australia with two spinners. GK: When you look at someone like a Rishabh Pant, when India do play with five bowlers, he becomes India's number six batsman. He's got a good start to Test cricket, a hundred in England, he's made runs against the West Indies at home. But do you see him as a number six in Australia? AK: No, that's why I thought when Ashwin moved up the batting order to number six, India should've persisted with that. I certainly believe that Ashwin is someone who can contribute at that position, especially when India travel abroad. Even in the last series, Ashwin batted really well, he's done well overseas. He has the temperament and also the technique. He just needs to be in that position for a longer period of time. I believe he's someone who can bat the second new ball and also play that role of number six, then probably Rishabh can bat at seven as he bats really well with the tail, which then gives him the freedom to go and play his natural game rather than put pressure on him at number six. GK: Now in the squad, the spare middle-order batsmen are Hanuma Vihari - who got an opportunity in England and did quite well - and Rohit Sharma who has been recalled. 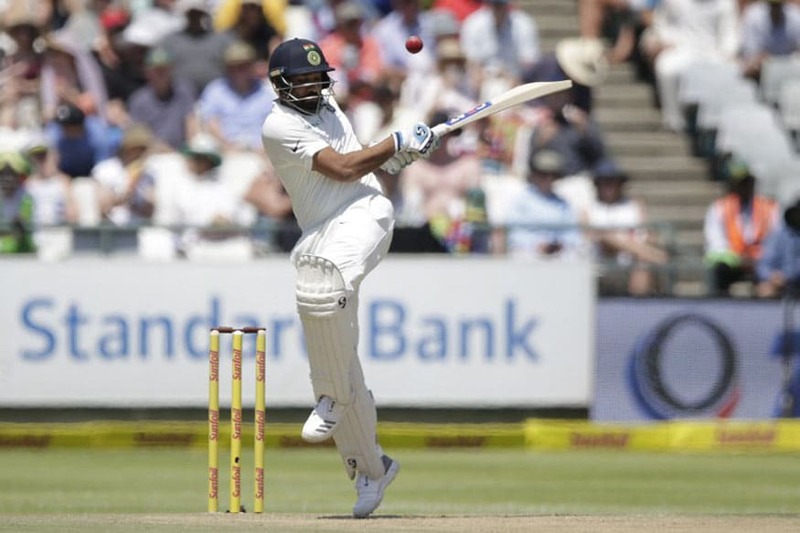 First of all, were you on board with the Rohit Sharma recall to Test cricket? AK: I think initially he missed out because of injury. He was batting really well, coming up really well against New Zealand. He won the game in Kolkata, he got a brilliant 80 and then unfortunately, he got injured against New Zealand in the one-day series and he was out of the game for almost 4-6 months. That probably cost him the opportunity to continue to be a part of Test cricket because otherwise I'm sure he would've played against Australia, when Australia toured India. I think he's matured as a player, he's at a place where he can contribute. If he can contribute then we know how well he can contribute. So, that to me is the reason why Rohit Sharma is back. GK: So, you're on board with that? AK: Yes, I'm on board with that but I think someone like a Karun Nair missing out is something that's certainly intrigued me because he's done no wrong. He didn't obviously play in England for two and a half months then he's out of the team. Vihari has done well, the one opportunity that he got. He got a fifty, he can bowl. So that could perhaps be the thinking as well for Vihari to play as an extra batsman and be your fifth bowler as an off-spinner as Australia has so many left-handers in their line-up. So, that's one option that India might take which could be a slightly safer option rather than a Kuldeep coming on board. GK: If that toss up is their, then would you prefer one over the other? 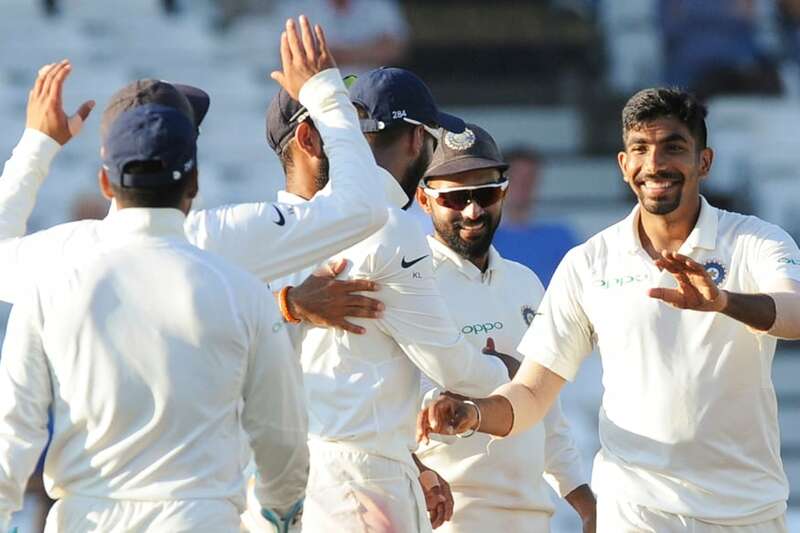 AK: I think if the toss up is there and you're playing with only four bowlers, then you want Hanuma Vihari as the bowler who can give you some overs with his off-spin. GK: Let's look at one other issue, now this is domain expertise with Anil. Three front line spin bowlers in this Indian squad that's going. It's a big squad, 18 guys, I hope they've got their tickets reserved and everything in the flight. But three front line spinners all make a very strong case. Let's assume Anil, that only one can break into the XI and you've got to make that choice, then what would that be? AK: Ashwin, I think there's no two ways to that. I mean Ashwin brings in the experience, he's an off-spinner, there are many left-handers. Even to the right-handers, you have Mitchell Starc coming in over the stumps. So, there will be foot marks and that's something that you can utilise on Day 2, Day 3 and even Day 4. Especially in places like Adelaide where generally the surface is very hard and very firm in the portion where the batsmen want the ball to be. So, slightly away from that and that's exactly why Nathan Lyon has been exceptionally good bowling in Australia. He gets the bounce and he also line to the right-hander which is slightly outside the off stump, where he uses the left-arm fast bowlers' foot marks. That's something I'm sure Ashwin will do, so if it's only one spinner, he would be my choice. GK: Can I give you a contrarian view, Ashwin started very well in England but then petered off, he had a Test match where Moeen Ali out-bowled him and there was a lot of talk about that. Jadeja came in and did very well in that role, batted well also. So, would it be a little bit unfair to Ravindra Jadeja to sit out in case India only play the one spinner, given that he made the most of his opportunities? 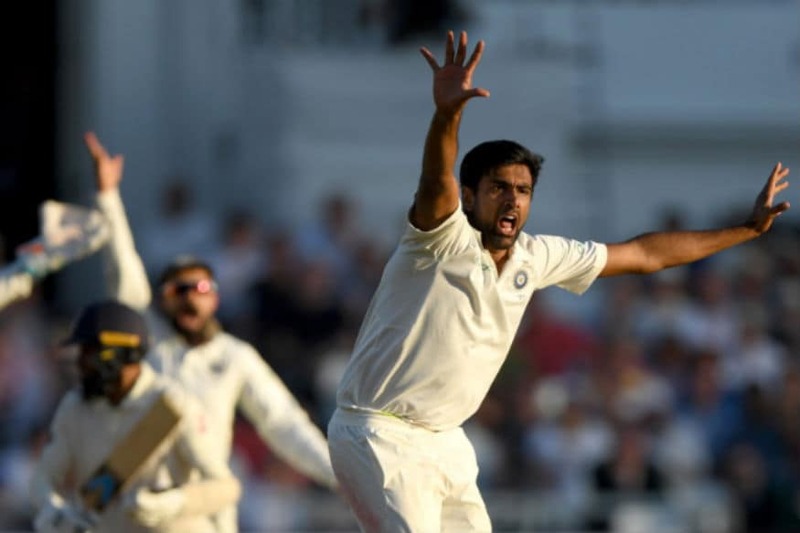 AK: Yeah, it is difficult but I think you need to start off with Ashwin since they have so many left-handers and also the option of Ashwin bowling to the left-handers and we know how good he is at that. So, I think it's all important to make sure that you give the confidence to your main bowlers. GK: I want to also ask you about Kuldeep Yadav because he's an interesting one in Test cricket, he started off so well, you were coach at the time and you picked him in that Test match at Dharamshala. He seems to do very well in limited overs cricket but would you not be tempted to have someone like Kuldeep play Test matches in Australia given that he's a bit of a novelty and also has had success in the T20s leading up to the series, all though those are totally different formats? AK: Yeah, it is. It's a tempting thing that you'd want. Would you want to throw in Kuldeep, yes, if you're playing five bowlers, two spinners then Kuldeep would be your second choice. Adelaide, depending on the pitch, depending on side because the side-boundaries are short and I'm sure Aussie batsmen will look to take Kuldeep on to the side boundaries rather than straight. So that's something that you'd want to think off. But if you're playing Kuldeep then you have to have another spinners at the other end. I wouldn't play Kuldeep as a sole spinner. I would rather go with Kuldeep with a back-up of either a Jadeja or an Ashwin backing up at the other end. GK: You know in a sense as a practitioner of your craft, wrist spin, when you look at him do you see him as someone who is still a little bit far from being the complete Test match spinner or has he made strides in that direction? AK: What's really commendable is the control that he possesses, even in the shorter format. He has better control, you hardly see him bowl short deliveries or full-tosses. When he first came on to the scene, you could see that much more. So, that's something that he's brought into his game, and the other thing is that he reads the batsmen well. He out-foxes them, his line changes. Of course the one thing that he needs to work on in Test match cricket is his flipper and just the variation of pace. But I think at that young age, he looks a complete bowler for someone who's an orthodox. GK: Alright, Kuldeep if you're listening to this, you know who to call to work on your flipper and get it absolutely right. AK: I've been telling him about it. But I guess he still doesn't have the confidence to try it out in a Test match. GK: The other issue that we must touch upon is this battery of Indian fast bowlers, five selected in this squad that's going to Australia, Now, that's been the standout for India in a sense over the course of these overseas Test matches. When you look at these five, can we pick any three out of the hat and play them in any Test match situation if I need? AK: Yes, I think that's the advantage that India has. All five have been brilliant in the last couple of years and in different conditions. 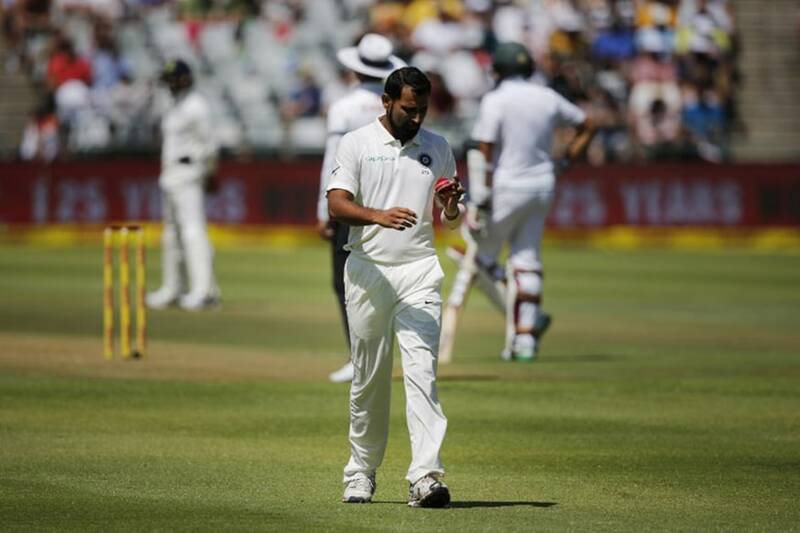 India's had the choice to reach out to a Bhuveneshwar Kumar when the ball is swinging around and there's a little bit of grass, he's come in and picked up five wickets and won matches for India. Umesh Yadav has done that when there's swing and reverse-wing. Shami has bowled brilliantly. Ishant, you know, of late has been really good with the ball, picking up a fiver and winning matches and of course, Bumrah has been exceptional. Nobody believed that Bumrah would play Test match cricket but then he's improved, he's matured, he's very unique and it is awkward for a batsman to face Bumrah. So, I think all five bring in very different variations amongst themselves. Although all five are right-arm fast bowlers, but depending on the conditions India has a choice to pick. I think the one bowler who will definitely make it will be Bumrah, the other I will certainly look at is Shami, these two will be my first two choices, and then you choose an Ishant Sharma because of the control he can bring in as a fast bowler. So it all depends on how you want to attack, if you want to attack with three seamers and one spinner then who is the fast bowler who is going to control the game is something that India needs to think of. Will it be Bhuvneshwar Kumar who will control or will it be Ishant Sharma who will control and attack with Bumrah and a Shami and have Ashwin and a Jadeja to control in the middle. So it all depends on how we want to play the game because like I mentioned in the first 20 overs, there is something for the bowlers with the Kookabura. But from 20 to 60 overs that is when India have to make inroads and pick up wickets or at least control the game. GK: Before we finish Anil, let's just reflect on Australians as well. Their problems have been well-documented but when two players of such stature get out of your playing unit, can it actually bring you closer as a team. There are people who believe Australia has never been weaker. There are a lot of young players who have been introduced into the set up. Do you think they can genuinely come out as a team and contest in the series? AK: They can, because they are playing at home. So that is something Australia don't really do well when they are under pressure. Especially in this kind of situation where two of their best batsman, who have scored literally 50 percent of their runs and are not a part of the playing XI and they haven't really done well since they have left Test cricket. Since they are playing at home, I foresee they will be a lot more closer and they will be able to combine forces to really score. If they can get to 300 or 350 against India then I think they will be very competitive. Because they have the bowling attack to dent India's batting line up. But it won't be easy, Adelaide as I mentioned is a good batting surface but if you look at that top seven, I mean you add up the Test matches all of them played it will be less that what Pujara and Kohli have played in their careers. So there is hardly any experience in top seven, so that will be a factor they will be worried about. So for India to be really effective, if they can get a good start when they bowl against Australia, then they will be under serious pressure. GK: You have played a lot of cricket in Australia. You were the coach of the team in 2017 when the verbals were at their peak. Give us a perspective Anil, how much does that count in actual playing of cricket. Do you see it actually being a factor. These two are tumultuous teams. Not a lot takes for them to actually set off. Do you see that as much of a factor in the series? AK: Not really. It depends on the individual who are a part of the squad, some get distracted, and some don't. As long as a team you are not distracted with whatever is happening, you'll be fine. There will be a lot of distractions created in Australia. I mean we all know it's not what happens on the field that gets written and spoken about but all other things around as well. As long as the teams are not getting distracted from the events that are happening around them, I think cricket will take care of itself. The moment you start getting into that, I mean you start a duel, then it is a issue. GK: A lot of Indian players are going to the Australia for the second time, they have had the experience before. A lot of them, Pujara has played, Rahane has played. Virat Kohli has a great record there. Some of the bowlers have played there as well. Do you believe that experience will count as positive for India? AK: Yes, it will, and it's important all that experience off all these players had, that you mentioned, that it gets filtered to the younger lot as well because generally the younger lot is targeted and this is where as a unit you are closely knit and literally close and not be distracted with whatever is happening around you. GK: Ok! So, let me put you into a spot. Make a series prediction for us, Anil? AK: Oh! India should win 2-1. GK: You see a draw somewhere? AK: Somewhere, there is so much of rain around. Maybe rain will play a part.